Visit Dayle for more Simple Pleasures. Just wish more teenage girls wanted to play with Barbie Dolls. Happy Birthday wishes to her. Great that your teenage daughter delights in these things. A true simple pleasure. Wish more kids her age, did. Maddie! It's your day!!! I hope you have an awesome birthday-- 16? How is that possible?! You'll have to take me for a drive sometime!!!!!!!!!! Love ya! Great simple pleasure! So glad you joined us today. Happy Birthday wishes to your sweet Maddie! @}~`}~~ Sweet blessings to her! How wonderful she still loves the simple pleasures of Barbie dolls. p.s. she shares a birthday with our 23 yr old nephew, Jeremy. Even though I'm a tomboy through and through, I have always cherished Barbies as my most-favorite toys ever. This makes me smile, as one who squealed over many a Barbie well into my teens! Happy Birthday to your Sweet 16! Happy Birthday from an old broad who squealed over Barbie in her teens too. In fact, I might give a good squeal at 48 if I saw a cute one! My daughter (now 20) was never overly into Barbies, but she DID enjoy her American Girl doll until well into her teens (maybe 17), and even now (at 20!!) 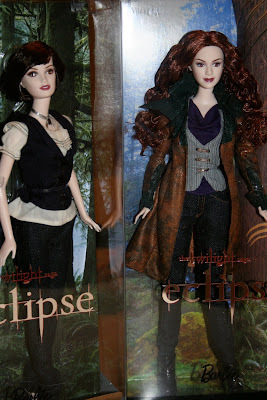 she leaves her dolls displayed in her room and changes their clothes seasonally. They have become decorative items and a fond memory from her childhood. I think it's great to not grow up too fast!!! A very happy birthday to your dear girl. I came over from I love pretty little things. Happy Birthday to your dear Maddie! very cool....Happy Birthday to Maddie.